The Democratic Debate Clock: Which Issues Got The Most Time NPR kept track of how many minutes each issue — like foreign policy and the economy — got at the second Democratic debate. 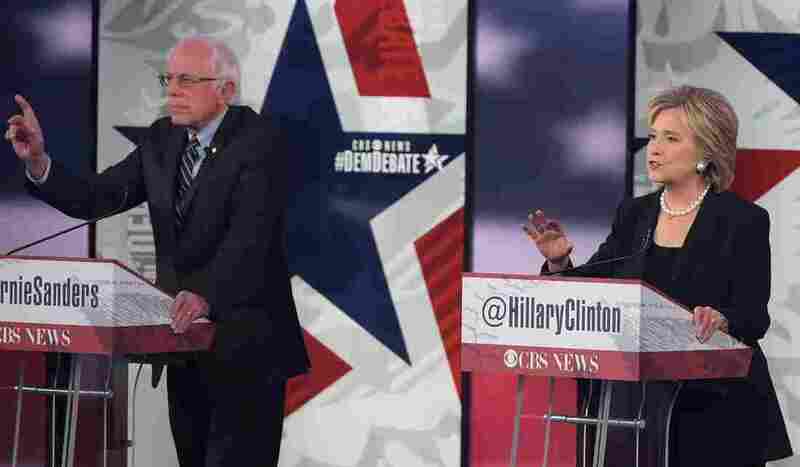 The Democratic presidential candidates took the stage in Des Moines, Iowa for their second debate. The three Democratic candidates for president met in Des Moines on Saturday night for their second debate. The CBS debate was originally going to focus on the economy but shifted gears after the attacks in Paris on Friday. Christopher Isham, CBS News vice president and Washington bureau chief said, "Last night's attacks are a tragic example of the kinds of challenges American presidents face in today's world, and we intend to ask the candidates how they would confront the evolving threat of terrorism."